Careful attention is paid to the presentation of the basic theory. * Enhanced sections throughout text provide much firmer foundation than the first edition. * Literature citations are given throughout for reference to additional material. optimized DJVU file with searchable text. 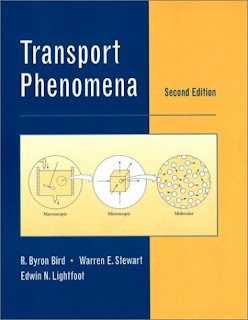 >>>Solution Manual of Transport Phenomena by Bird, Stewart & Lightfoot, 2nd edition. Thanks alot for this book. I really needed that. thats alot.